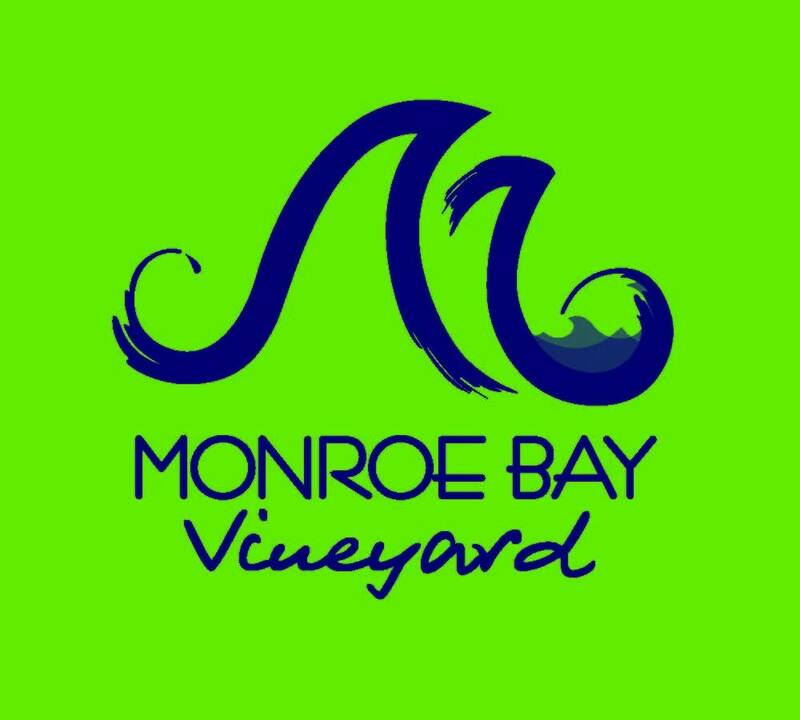 Kiki Apple and Walter Lamore of Monroe Bay Vineyard received their farm winery license on November 15th, 2014. Their first crush was that same year and resulted in wines such as Blue Heron Red, White and Rose, Cabernet Franc, Chardonnay, Petit Manseng, Viognier and Hard Apple Cider. Kiki (real name Kirsten) spent time at the West Mill House in France, which she still owns, before moving to northern Virginia and making wines in her garage. Vines were planted in the Goldvein area. Their wine bottle labels were designed by a local artist through the process of an artwork competition organized by art shop owner Shirley Rush. Barbara Brennan was the winner of the first contest. They plan to have one every year. They have bottled their wines in the Charlottesville area. Many of their initial events and tastings mostly took place at Mosaic Central Farm Markets and in the Fairfax and Falls Church areas with some local appearances such as the Mother's Day event at the Westmoreland Berry Farm. They partnered with Stone Room Concerts to present a successful live music concert series. They also participated in the Second Friday ArtWalks here in town and more recently have had tastings at Denson's Grocery and a booth at the 2017 Wine and Oyster Festival at nearby Stratford Hall, home of the Lee's. Their tasting room opened in the summer of 2017 on Washington Avenue just two doors down from the Library. Their tasting room is open on Saturdays from 11 - 6 from Memorial Day to Labor Day. Their wines, including one of their newest, a Pinot Grigio, can also be found at various farmer's markets such as Ballston, and at Visions by Shirl during the ArtWalks. Their future tasting room will be set up near their newest plantings at 4786 James Monroe Highway, between Moose Lodge #1267 and the birthplace of our 5th U.S. President James Monroe. The plan is to construct the tasting room there out of recycled wine bottles and they appreciate patrons returning their empty wine bottles to be used for this purpose. The barn is being built from strawbales and is coming along nicely. You can get involved in the process by participating in the harvest and even the crush as a volunteer. There's a form on their website (monroebaywine.weebly.com) where you can sign up to learn more about this as well as other events and news.